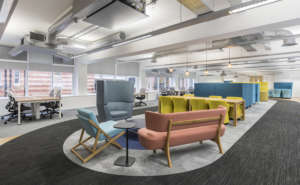 Phoebus Software wanted their new space to be a collaborative hub to bring staff together and keep them inspired throughout the day. 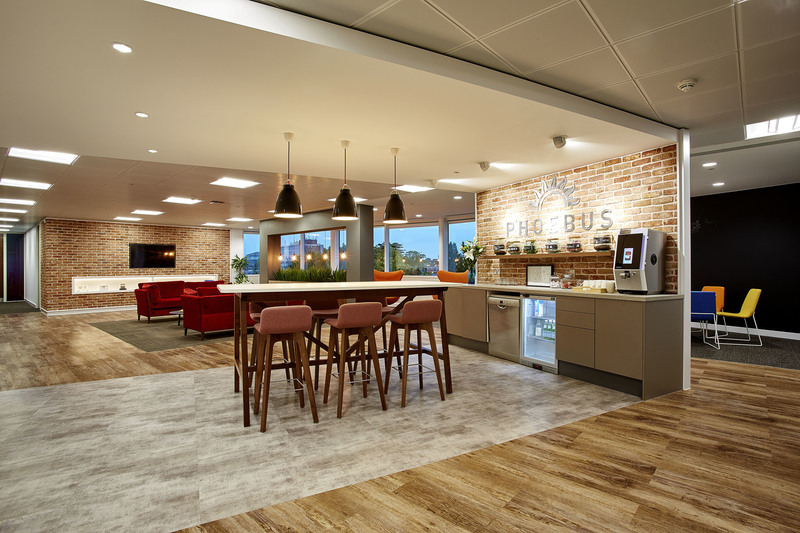 In a world where flexible and remote working is becoming increasingly popular, Phoebus wanted to give their staff a reason to love coming into the office. The main drawcard? 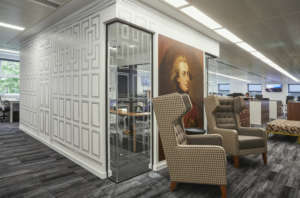 Unique spaces with a strong sense of personality, so staff can always find somewhere to work and equally importantly, somewhere to take a break and wind down. Phoebus asked for their office to instill a sense of joy and adventure. 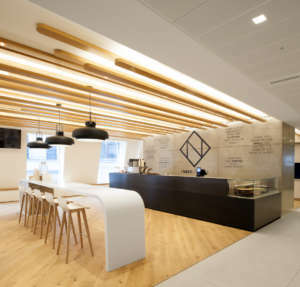 Often linked with the outdoors, we used this theme to highlight natural materials and finishes throughout the fit out. 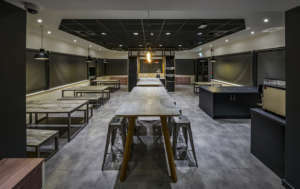 From the shared breakout area, you’ll see natural wooden floorboards, exposed brick, and slate tiling; linking the space back to the natural world. 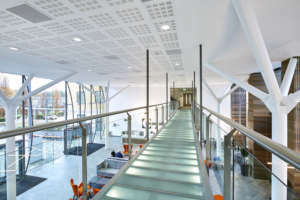 These hard wearing finishes are perfectly suited to daily use in high traffic areas. 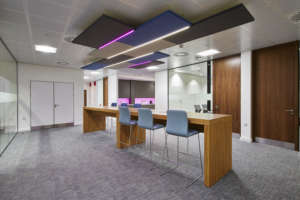 A variety of seating was provided to allow staff to have standing meetings or work at the high tables, while more casual catch-ups are perfectly suited to the sofas. Tech firms and toys are often synonymous with each other. 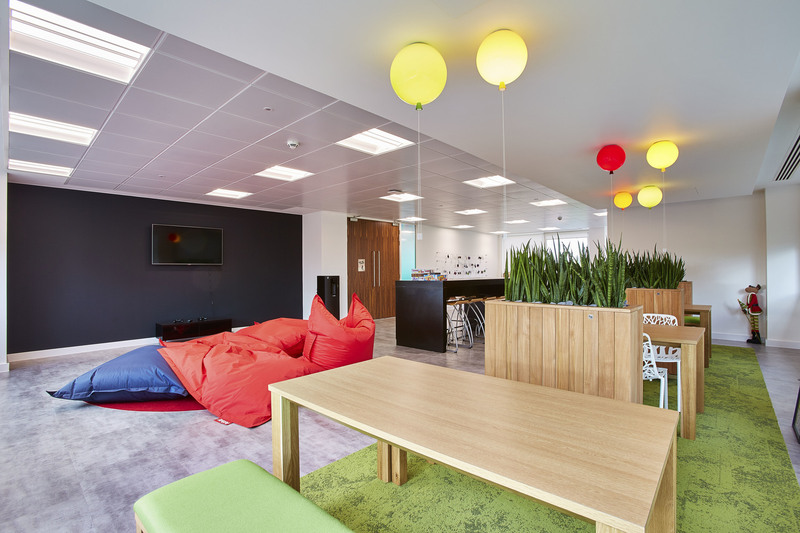 Featuring foosball, ping pong and an original Space Invaders unit, Phoebus’ breakout space definitely focuses on the latter of the mantra ‘work hard, play hard’. 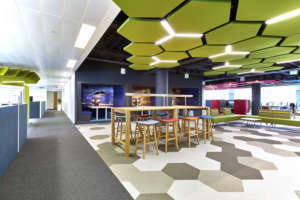 The breakout space is adjoined with a communal brainstorming area, complete with a floor-to-ceiling blackboard and beanbags, so ideas can flow naturally and be explored at will. 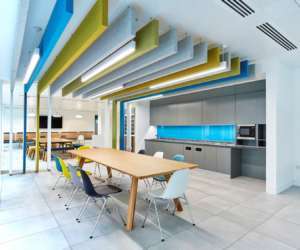 Biophilia is a key element in boosting workplace wellbeing. As humans, we all have an innate desire to be closer to the natural world and the perfect way to bring this into your fit out is through indoor plants, natural light, and plenty of green furnishings! 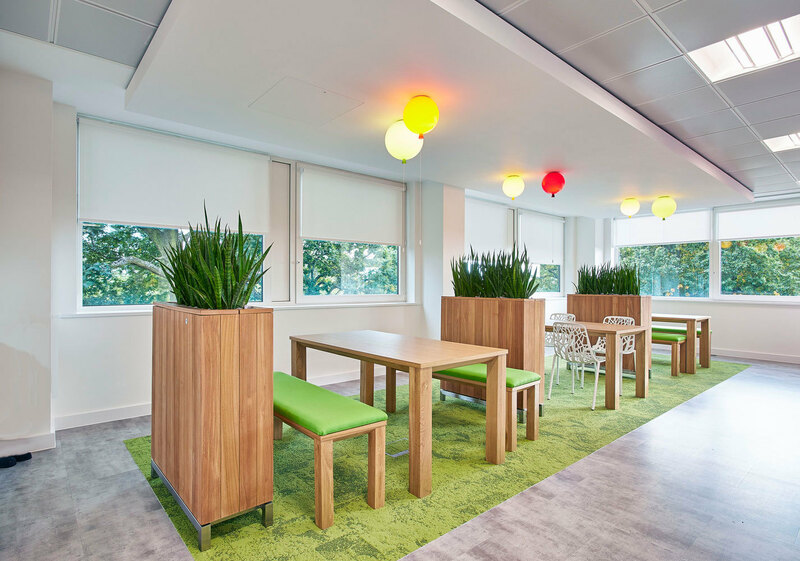 We designed a natural corner for Phoebus, complete with lush green carpet, wooden furniture and indoor plant dividers to bring the outside into the office. And to top it off? Bringing back those childhood memories of walking through the park with helium balloons. The light fittings chosen here make it look like balloons have risen to the ceiling, and are completed with with drawstrings switches! Phoebus places an incredible importance on its staff, so why shouldn’t the office be a little bit more personal? 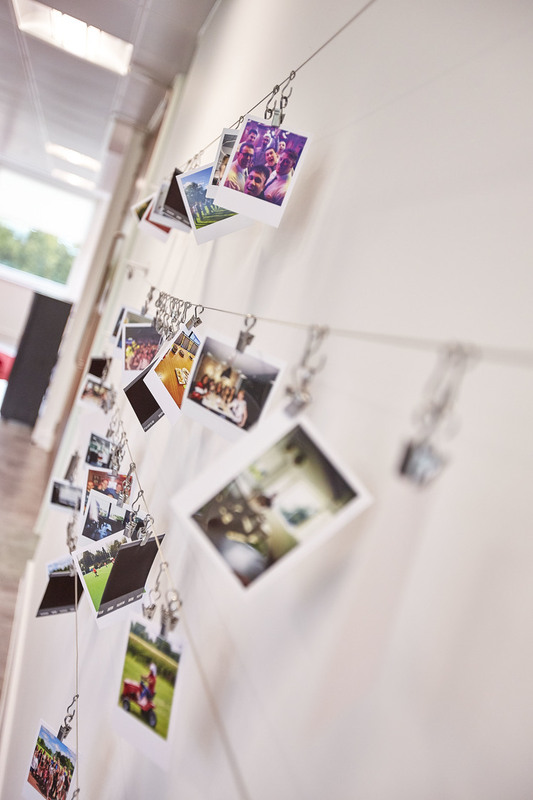 Since it’s a shared space for all, we installed a polaroid wall where staff can upload (manually, ofcourse!) their favourite pics from team events, or even some personal snaps if they’re in the sharing mood. This is all about Phoebus’ inclusive culture which is about focusing on what matters: their staff.